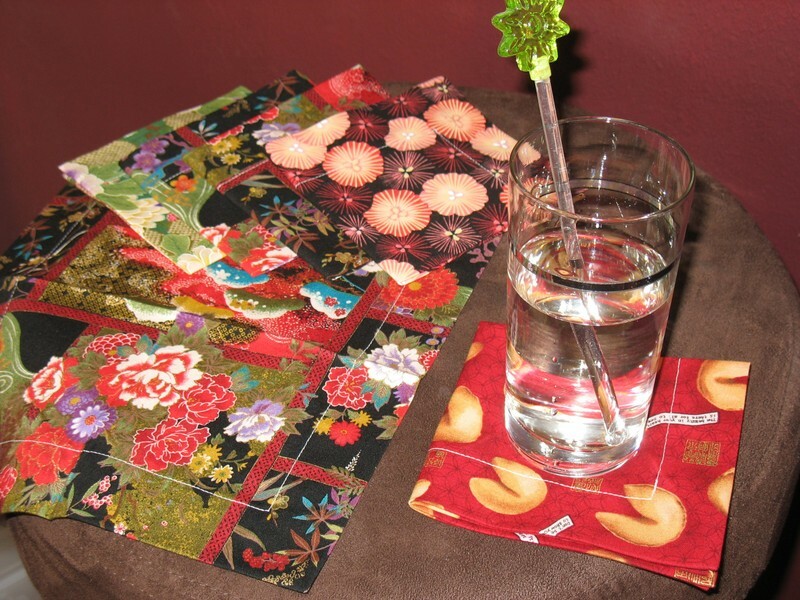 Made some 10" cocktail napkins out of Asian-themed fabric. My favorite part about all of these little cocktail nap guys is that they can replace the need for paper party napkins and used for all kinds of occasions. I think I'm going to make some sets next from some fabrics that I have featuring women on motorcycles, men wearing aprons cooking and the like. Sort of mod-girl sets, I guess.